Our eldest Peter (Boo) taken in September 2009 during Sheffield Dragons Summer in the Square competition. He'd not long since started the Little Dragons karate class. 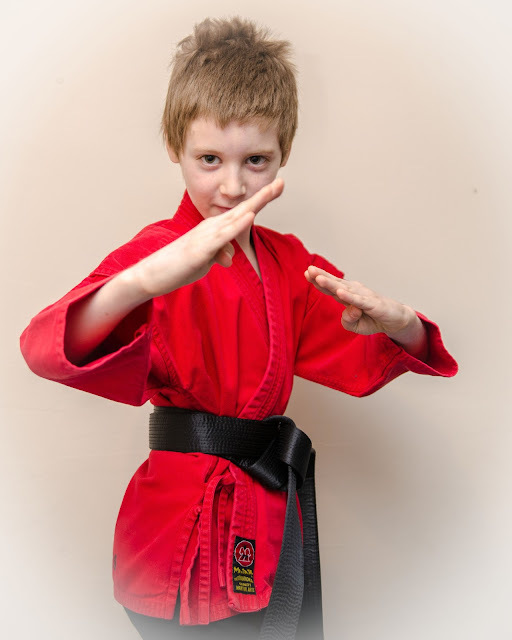 Now he's my little Black Belt. 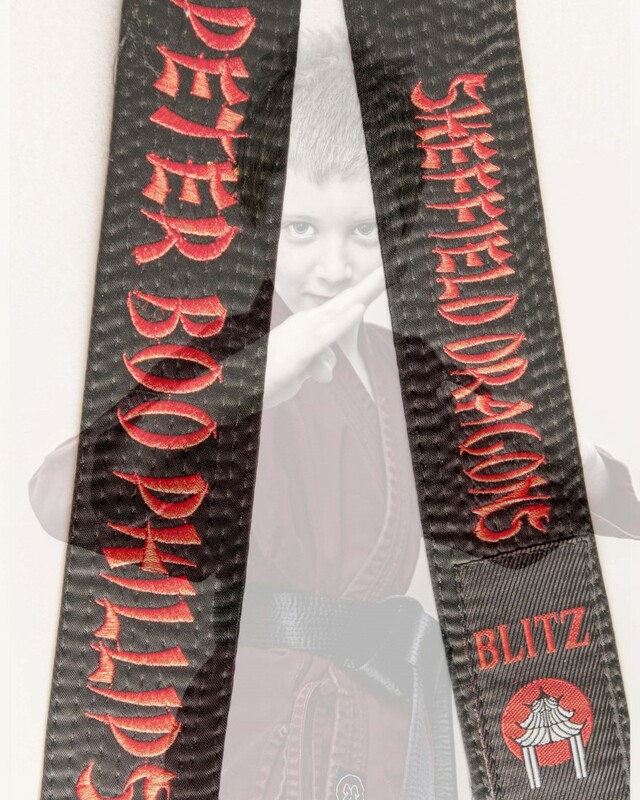 He spent 2 days grading at Sheffield Dragons and on Friday 5th April 2013 he was presented with his 1st Dan black belt. As you can see we bought him a special belt. 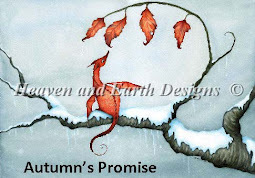 He's been seeing these belts since he was a Little Dragon and knew that was what he wanted to have one day. Luckily for us he's got 2yrs before he can grade again for his 2nd Dan so lots of time to train and the belt will get plenty of wear!! Congratulations!! What an achievement to get his black belt already. Well done young man!